Via Cesare Rosaroll, 4 , 80139 Neapel, Italy. 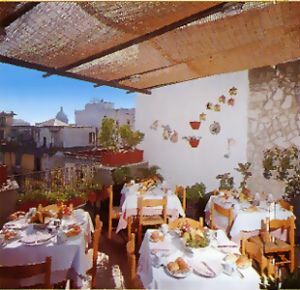 Hotel Prati's Classic is located in a building refurnished in 2008. It is Only 1 kilometer far from Capodichino and Located within walking distance of the historic center of city, which is 500m from the railway station. It is ideal for both business and leisure travelers. It Offers 43 well-equipped rooms with television, phone, air-conditioning and bathroom. 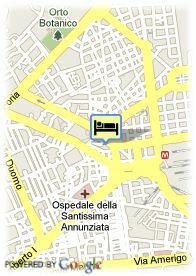 This hotel also provides a restaurant, coffeebar, DSL internet connection and parking facilities. Es gibt Internetleistungen (Computers) in der Vorhalle (kostenlos). Bezahltes open air Parkplätze beim Hotel (16.00 €), Reservierung erforderlich. Bahnhofsnähe, in der Nähe der Altstadt.